China is chartering a strategic roadmap, which allows the country to prove its mettle as an innovation leader with a strong market base, says Angelica Buan in this report. China, amid reports of a slowing economy, remains a sought after market, owing to its more than 1.3 billion consumer base. The world’s largest workshop is transitioning into a manufacturing superpower with its master plan, the Made in China 2025, akin to Germany’s Industry 4.0. Indeed, the country has successfully navigated its way from the Silk Road to the foyer of smart manufacturing, with its direction towards more sophisticated industrial upgrading a hardto- beat precedence for Asia-Pacific countries to follow suit. The Made in China 2025 roadmap, which was initially introduced by Premier Li Keqiang, and by China’s State Council in 2015, aims to move China up in the global value chain. According to the China State Council, 20 State Council departments have worked together on the roadmap. A planning system, the 1+X – whereby “1” stands for Made in China 2025 and “X” means guidelines for sectors, was initiated by a team led by Vice-Premier Ma Kai. The 1+X initiatives cover 11 guidelines on smart and green manufacturing, innovation of high-end equipment, new materials, and others. It is targeting ten high-tech industries, namely, new generation information technology, high-end computerised machines and robots, space and aviation, maritime equipment and high-tech ships, advanced railway transportation equipment, new energy and energysaving vehicles, energy equipment, agricultural machines, new materials and biopharma and high-tech medical devices. 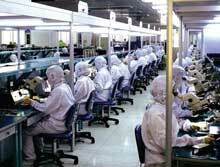 Likewise, covered are manufacturing innovation, product quality management and sustainable production. In resonance with this strategy, China is building 40 manufacturing innovation centres by 2025, with the first 15 to be up by 2020, according to the Ministry of Industry and Information Technology (MIIT). The centres will focus on IT, intelligent manufacturing, new materials and biomedicine. According to the Mercator Institute for China Studies (Merics), in its 2016 report, the goal is well-oiled by government entities at all levels. Funds have been set aside for this purpose, like the EUR2.7 billion Advanced Manufacturing Fund launched in Beijing in 2016. Meanwhile, the National Integrated Circuit Fund has in its stead EUR19 billion to boost the IC industry: chipmaking, design, equipment and raw materials; as well as to promote mergers and acquisitions. China’s huge production makes it the world’s primary growth engine. Hence, its economic deceleration, tapering from 7% to 6.5%, which some experts say may be lower, has sent waves of uncertainties, especially across economies that rely on China’s strength. However, the slowdown, experts say, is an outcome of the country’s shift from export-oriented growth to import and domestic consumer-oriented, with products/ services that serve domestic needs in the forefront now. In building and construction, China is expected to outpace India, Japan and other Asia-Pacific countries. According to the Plastics Market Watch (PMW), in its 2016 Economic-Demographic-Consumer & Technology Trends in Specific Plastic End Markets report, the country, like India, will need more than 250 million new housing units by 2025. Thus, China is on the road to becoming the world’s construction powerhouse, with its population accounting for up to 20% of annual global construction spending. On the other hand, the report also indicated a possible slowdown after 2025, along with the rebalancing from investment and export-led growth to household consumption, with the latter expected to boost affluence that will drive demand for larger abodes and additional infrastructure. Meanwhile, Germany-headquartered consultancy group Roland Berger projects a 6%/year growth for the Chinese chemical market from 2020-2025, with petrochemicals anticipated to form the biggest market in terms of volume, EUR203 billion by 2025. In the report, Keep the Dragon Flying, Roland Berger projects the Chinese chemical market volume to grow to a total EUR1.3 trillion, or a third of global revenues. Analysts at Roland Berger, however, caution of certain conditions needed by the chemical industry to maximise benefits from the country’s industrial reforms. First, they mention of consistency in implementing reform initiatives, specifically starting with the 13th Five- Year Plan, which will reinforce adoption of the Made in China 2025 strategy. Yet, by 2025, the EUR203 billion-petrochemicals sector will remain the highest revenue sector in China. 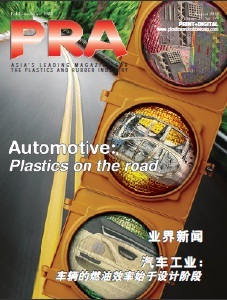 It will continue to account for 17% of the total market volume, as China spurs the production of standard and high-grade polymers and synthetic rubbers. The markets covered in the report also include high-grade industrial goods, speciality chemicals and industrial gases, which the firm expects will expand by 9%/year to EUR85 billion from 2015-2020. In the latter sector, the push will be for cutting-edge technologies rather than mass-produced goods. Implementing this, specifically in the engineering and electronics sectors, will boost demand for industrial gases, especially ultra-pure gases, Steffen, said. He also adds that other segments like paints and coatings (8%/year), agrochemicals (7.5%/year) and flavours and aromatics (7.5%/year) will significantly benefit from this transformation. With the countdown to 2025 looming, China’s plastics industry is anchoring on robust plastics demand, albeit, at a slower economy pace. BCC Research in its High Performance Films global report finds that China, along with Asia, accounted for more than 60% of global polyester films consumption in 2016, with the former leading all regions with a 9.7% CAGR. In the global PET market, China clinched nearly half of the global total in 2016, BCC said. Additionally, China’s surging investment in the industry will allow it to reach an operating rate of below 70% for commodity-grade PET films, against the global average operating rate of 80%. BCC explains that about two-thirds of the world’s PET films capacity is classified as commodity grade, which is mainly used for packaging. 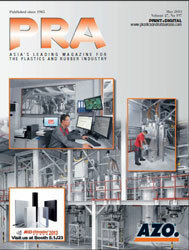 As well, the Chinese packaging industry has shown robust growth. UK intelligence firm GlobalData says the country’s packaging Industry is poised for growth at a CAGR of 5.4% from 2016-2021, compared to 4.5% from 2011-2016. Growing urbanisation, an ageing population, and a rising middle class, and other changing demographic factors, are influencing this growth. Moreover, these changes are driving the need for new packaging formats. During this report period, the strong Food and Beverage industries, which indicate share growth of 3% and 2%, respectively, will drive demand for cheaper and more lightweight rigid plastics as the most preferred pack type in fast moving consumer goods (FCMG) products. Meanwhile, the mainstreaming of bio-based and thermoformed packaging, as well as innovative packaging for longer shelf-life, are also expected to boost demand for rigid packaging in China. On the flip side, the waterloo to this growth is overcapacity, as what has been witnessed in previous years. BCC said that the growing overcapacity in the early 2010s burdened industry players with declining operating rates and profits. 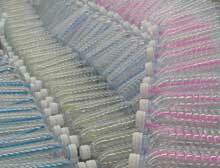 An example is biaxially-oriented polyethylene terephthalate (BOPET), which BCC Research Editorial Director Kevin Fitzgerald says experienced very fast growth and was very profitable in China in late 2000 with many new investors entering the industry, creating an overcapacity situation. Currently, capacity has been stabilised and the industry hopes it remains always in check. Fitzgerald adds that Asia and China should continue to grow their commanding share of the global polyester films consumption through 2021. In a similar token, overcapacity in China’s machinery market in the previous years also contributed to revenue cuts. for machines in sectors such as agriculture, packaging, materials handling and machine tools picked up from US$1.5 trillion in 2013 to US$1.6 trillion in 2014 or 6.3% growth/year. Through 2018, the global machinery market is forecast to firm up, and to deliver potential revenues of US$2 trillion amid a growth rate of 5%-6%/year. As anticipated, the Made in China 2025 plan will affect different enterprises invariably. Merics said in its report that China will have “frontrunners, hopefuls and latecomers in the use of smart manufacturing”. Nevertheless, a small number of frontrunners are“ likely to dominate their sectors on the Chinese market and become fierce competitors on international markets”, it said. The so-called hopefuls, although operating at a less advanced level will eventually move to upgrade production to the next level “if provided with the right incentives”. Hence, the importance of a policy in place, Merics said. Yet, overall, an optimistic outcome is anticipated for the Chinese industry. “China is still in the process of industrialisation, which should include the manufacturing sector, and promote innovation and upgrades of the traditional manufacturing industry driven by the new economy,” Premier Li Keqiang has been quoted as having said regarding the pros of implementing the plan. “Industrial innovation, combined with Internet Plus, mass entrepreneurship and innovation, will allow Made in China 2025 to foster a new industrial revolution,” he added. Under the Made in China 2025, it is required that basic core components and materials be more localised. Hence, localisation rate or the domestic market share of Chinese suppliers for components and materials is targeted to increase up to 70% by 2025, which will therefore be a boon to the local industry. Copyright (c) 2017 www.plasticsandrubberasia.com. All rights reserved.